Since 2006, there are only 9 jurisdictions offering offshore banking licenses. The reputation of these countries´banking sectors is very important, reason why the application process is long, and costly. Although it takes time to get an offshore banking license, the results are very beneficial. 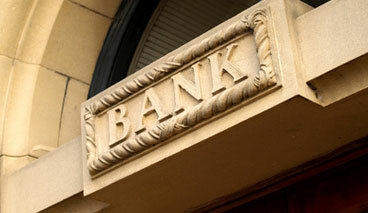 Offshore banks are formed to legally save taxes and maintain earnings and profits in a low or zero tax jurisdictions. Offshore banking licenses and offshore banking is a fast growing sector in many jurisdictions. Offshore banks can also be formed as a private and separate venture, and a shareholder can be corporate body or individual. General licenses which allow the bank to conduct all types of related services, known as “Class A”. Restricted licenses which allow the bank to perform the related services listed on the license. The first step to acquire a banking license is to develop a complete business plan. It should include short and long term objectives of the bank, financial analysis projections from 3 to 5 years, background of the principals, market analysis, money laundering prevention guidelines, etc. The business plan is filed with the Central Bank of the jurisdiction where the license has been requested. The jurisdictions which are still issuing offshore banking licenses are: Antigua, Belize, Cayman Islands, Cook Islands, Dominica, Panama, St. Vincent, Samoa and Vanuatu. Where the license is issued will be determined by the business´ needs and long term plans.